The previous registrant of Dustie.com, a domain he registered in 1999 and held onto for 20 years, is adamant about its unlawful transfer away from her GoDaddy account. 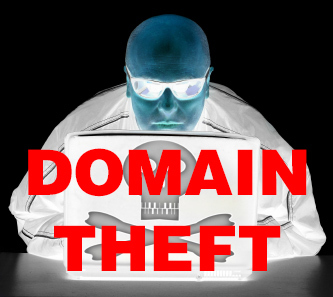 In a NamePros exchange, the party at loss claims that the domain was sold without his permission via GoDaddy BIN auctions for a mere $450 dollars, a price considerably lower than what he set it at in 2017 – especially since he had a $5,000 dollar offer in the past. And here comes the twist: the buyer is another NamePros member, who confirmed the purchase of Dustie.com for $450 and who is willing to work out a deal with the previous owner. But the domain drama doesn’t end there: the new owner of Dustie.com has already sold it to an established NamePros member for $5,000 dollars. The new owner is willing to return it to the original owner of Dustie.com if they can prove that the domain was indeed stolen from their GoDaddy account! That’s a calculated gamble for a great, aged domain that matches the original owner’s first name. Whether stolen, or not, Dustie.com just sold for $5,000 dollars and here’s the link to the NamePros thread.